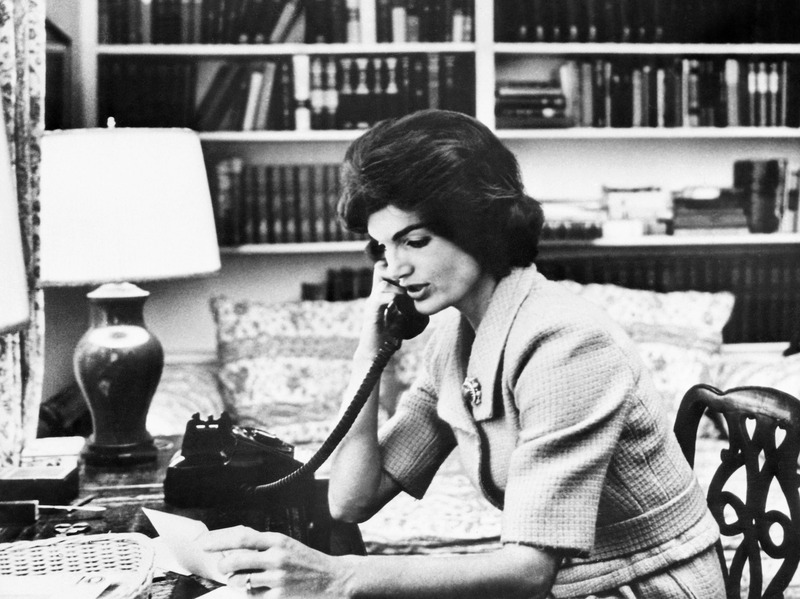 In unspeakably awesome things, a batch of Jackie O's breakup letters have been unearthed. The letters were written before Jackie, then Bouvier, was married, so you can slow your roll, she wasn't writing them to John (although I'd love to think of her throwing at least a few stinging barbs his way over the course of their relationship). The letters are just as eloquent and cold as you could dream them to be, and like Jackie, they ooze not only sass, but elegance. Who would have thought breaking up could be made elegant? OOOOOH BURN. The note was sold at auction by Christie's for $134,500, and it's got people like me wishing at least one of my many breakups had been this poetic. Ms. Kennedy-Onassis also wrote to the same suitor, “I do love you though — and can love you without kissing you every time I see you and I hope you understand that,” which I totally get, because sometimes I need my space too, especially when I'm trying to fall asleep. If anything, the letters show that we were right in anointing Jackie O the scion of powerful and graceful womanhood, because she really was a woman who spoke her mind in the most stylish way possible. 1. James Brown To An Anonymous Woman He Called "Princess D"
"I'm suggesting that we make this trip our last one, not that I don't care but it's not that you're not a beautiful girl. I hope our short relation — got you on the good foot. I'm going to give you another six thousand so you won't have to go work to quick but you'll be fine. I'll always be your friend." "I shall miss you with passion and wild regret. All I care about — honest to God — is that you are happy and I don't much care who you'll find happiness with. I mean as long as he's a friendly bloke and treats you nice and kind." "I composed a beautiful letter to you in the sleepless nightmare hours of the night, and it has all gone: I just miss you, in a quite simple desperate human way." "First, I hope so much, I want and need so much to see you again, some day. But, remember, please, I shall never more ask to see you — not from any pride since I have none with you, as you know, but our meeting will mean something only when you wish it. So, I'll wait. When you'll wish it, just tell." (Note: that's Sartre in the picture, not Algren). "I can't see how I can go on living away from you—these intermissions are death. How did it seem to you when Hugo came back? Was I still there? I can't picture you moving about with him as you did with me."